Short for Microsoft Disk operating system, MS-DOS is a non-graphical command line operating system derived from 86-DOS that was created for IBM compatible computers. MS-DOS originally written by Tim Paterson and introduced by Microsoft in August 1981 and was last updated in 1994 when MS-DOS 6.22 was released. Today, MS-DOS is no longer used; however, the command shell, more commonly known as the Windows command line is still used by many users. 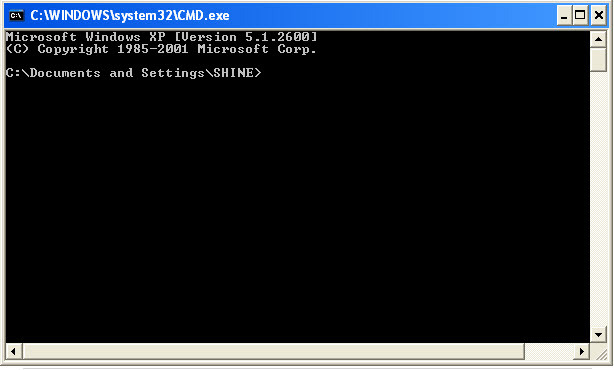 In the picture to the right, is an example of what a MS-DOS window more appropriately referred to as the Windows command line looks like under Microsoft Windows. Today, most computer users are only familiar with how to navigate Microsoft Windows using the mouse. 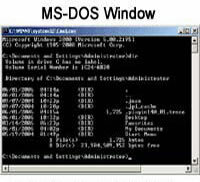 Unlike Windows, MS-DOS is a command-line and is navigated by using MS-DOS commands. For example, if you wanted to see all the files in a folder in Windows you would double-click the folder to open the folder in Windows Explorer. In MS-DOS, to view that same folder you would navigate to the folder using the cd command and then list the files in that folder using the dir command.